Montauk Air Force Station (1951-1981) - A Cold War Air Force Radar Station first established in 1951 at Montauk Point, Suffolk County, New York. Moved to Camp Hero by 1 Feb 1952. Named Montauk Air Force Station after the location on 1 Dec 1953. Initially assigned a Permanent ID of LP-45 and later a Sage ID of Z-45. Abandoned by the Air Force in 1981. Established in 1951 at the site of an existing radar site and became operational in 1951 and later named Montauk Air Force Station manned by the 773rd AC&W Squadron. The station initially had both a Ground-Control Intercept (GCI) and early warning mission. The early warning mission involved tracking and identifying all aircraft entering their airspace while the GCI mission involved guiding Air Force interceptors to any identified enemy aircraft. Controllers at the station vectored fighter aircraft at the correct course and speed to intercept enemy aircraft using voice commands via ground-to-air radio. Initial equipment included the CPS-5 search radar and a TPS-10A height-finder radar. In 1952 they had been replaced by an FPS-3 and an FPS-5. Between 1955-1956 an FPS-8/GPS-3 was installed. One of the first FPS-20 search radars was installed in 1957 along with two FPS-6 height-finders. This was the baseline configuration for SAGE operation. The site began operation as a SAGE site in 1958 initially feeding the McGuire SAGE Direction Center DC-01. The search radar was upgraded to an FPS-35 in December 1960 but problems with interference delayed its operational date until 1962. In 1963 one of the FPS-6 height-finder radars was replace with an FPS-26. With the closure of DC-01 on 30 Sep 1968 control changed to the Hancock SAGE Direction Center DC-03. 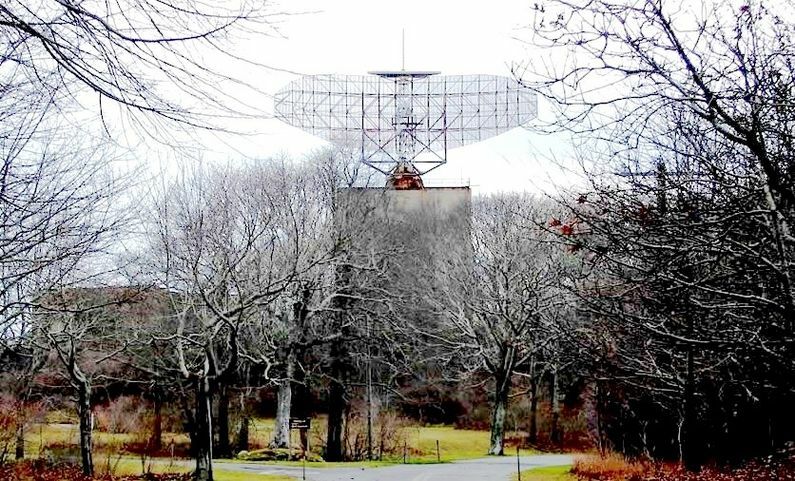 Montauk AFS was responsible for the maintenance of two remote unattended gap-filler radar sites. The unattended gap filler sites were placed in locations where the main search radar lacked coverage. These sites were equipped with short range FPS-14 or FPS-18 search radars and FST-1 Coordinate Data transmitters that sent digitized radar target data to a SAGE direction center and to the main radar site. Both the radar set and the FST-1 were dual channel to increase site up time. Maintenance teams were dispatched for regularly scheduled maintenance or when fault indicators on the FSW-1 remote monitoring equipment suggested the site had problems. The FSW-1 also allowed remote operation of specific functions such as channel changes for the radar and for the FST-1, it also allowed remote operation of the diesel generators at the gap filler site. The Montauk AFS gap-filler radars were located at Manorville, NY and Chilmark, MA. Montauk AFS became a BUIC I GCI site in 1962 and went operational as a BUIC II site on 1 Apr 1966. The BUIC II system provided a backup for a SAGE direction center and provided the ability to display sector wide radar data on consoles for local weapons controllers. The system duplicated the functionality of the vacuum tube direction center computers with more up-to-date computers and replaced the FST-2 with a more up-to-date coordinate data transmitter, the FYQ-47. As the threat from a soviet bomber fleet lessened the decision came to mothball the BUIC system in 1974. Montauk AFS and the 773rd were deactivated in 1981. Montauk AFS and the 773rd were deactivated in 1981. Part of Camp hero State Park, abandoned at Montauk Point, Suffolk County, New York. The FPS-35 tower and antenna remain in place with the antenna freewheeling to prevent wind damage, motors and drive removed. Location: Montauk Point in Suffolk County, New York. Winkler, David F., Searching the Skies: the Legacy of the United States Cold War Defense Radar Program, USAF Hq Air Combat Command, 1997, 192 pages, Pdf, page 141. This page was last modified 20:44, 7 January 2019 by John Stanton. Based on work by Bill Thayer.